I finished this shawl yesterday, and I’m super excited because it’s the first time I’ve knit with my handspun! I loved knitting this project. I’m happy to finally knit with my handspun. This yarn is a massive improvement over my prior handspun, but it still has some anomalies. 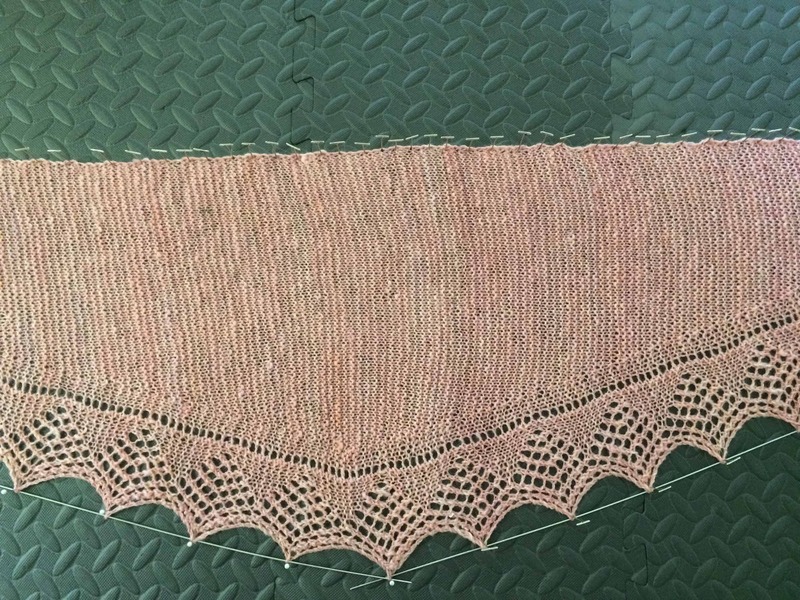 The Sweet Summer Shawl pattern is forgiving of yarn anomalies, since it is mostly garter stitch. 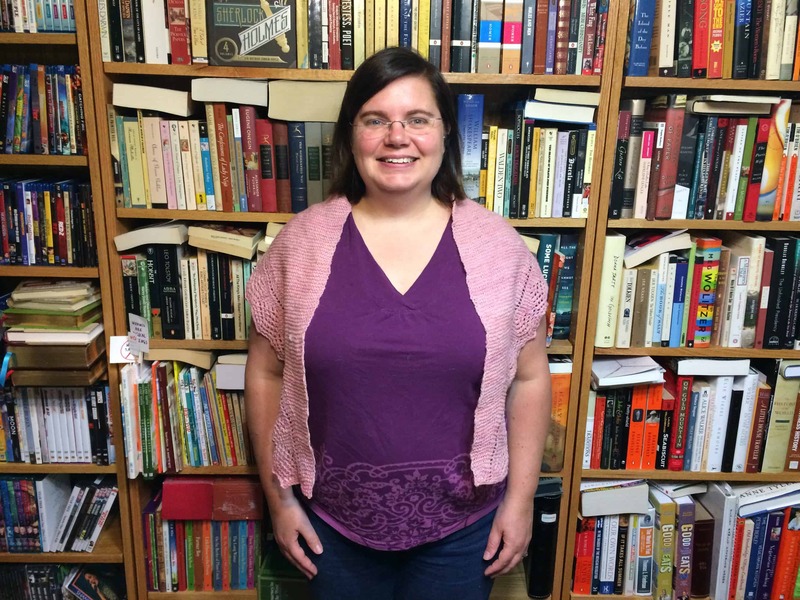 The shawl is knit from end to end not top down or bottom up. I was looking for a pattern knit in this manner to maximize the yarn I had. I managed to use all but 6.9 grams of the yarn. 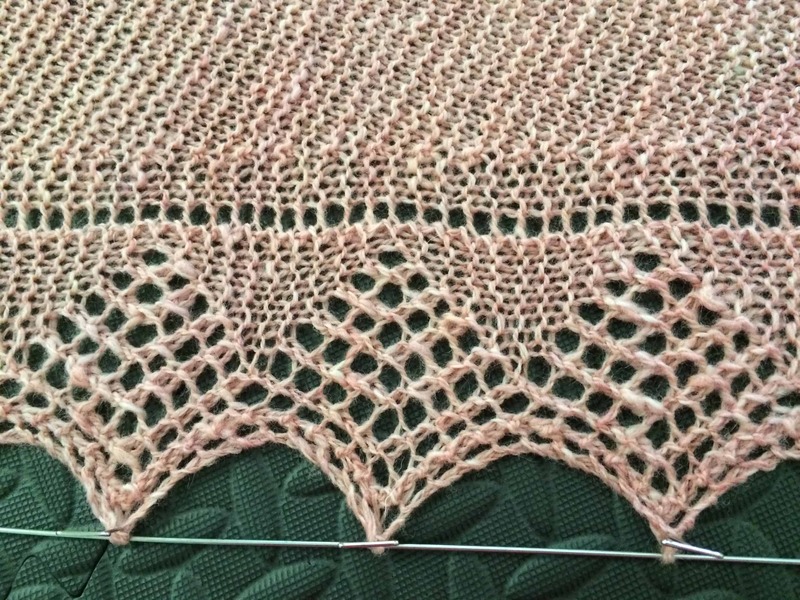 The pattern suggests knitting 10 repeats of the increase section then 10 repeats of the decrease section. I started weighing my yarn after the 8th repeat and every repeat after that. I ended up with 11 repeats. I knew I didn’t have enough yarn to knit a 12th increase repeat plus a 12th decrease repeat. Now that I finished the pattern, I wish I’d knit one repeat without either increasing or decreasing. I had enough yarn to do so, and I think I would have been happier with an odd number of points. Since there’s not a central point in the pattern, it ends up slightly asymmetrical and I would have preferred symmetry. In the grand scheme of things, this is a minor quibble. It’s a fun, easy pattern to knit and I KNIT WITH MY HANDSPUN!!! Anomalies in handspun are what make it “hand”-spun! Well done, start to finish. Congrats! It’s beautiful and it’s one of a kind! How awesome is that! Yeah for you. I try to use my handspun as soon as I finish spinning it. There is a great satisfaction knitting with yarn created by you. 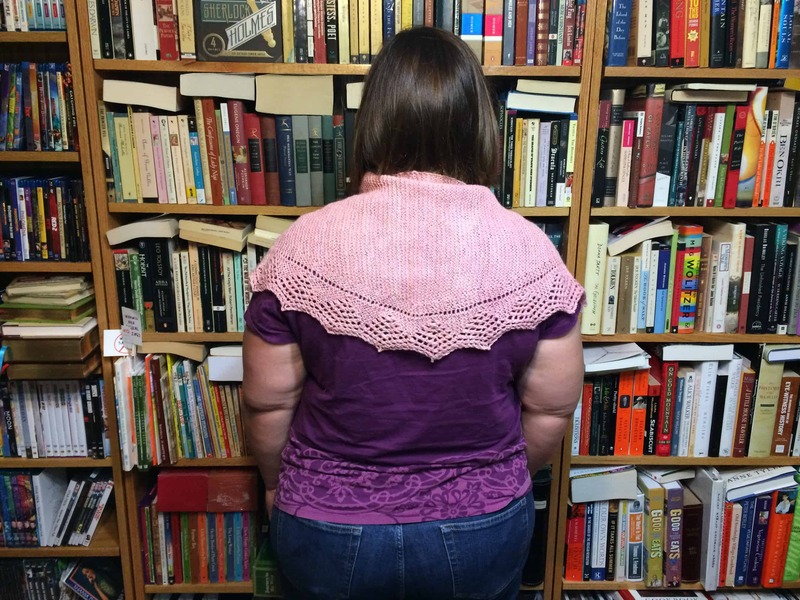 The shawl came out gorgeous. Enjoy wearing it. What a beautiful piece! There’s nothing quite like completing a project from fibre to final product. The pattern suits the wool and the wool suits the pattern.